Without a doubt, diversity is a hot topic everywhere you go and turn, often leading to insightful conversations or full­blown arguments, especially on social media. Some people are tired of hearing about it (because it’s either not relevant to them or they just don’t see the issue at large), while many more continue to bring the issue about the lack of diversity and representation to the forefront of public attention. wasn’t my priority. I just wanted to see the story unfold, no matter who played the part or who was involved in bringing me that story. I didn’t need a Disney princess to look like me to feel included. If I wanted to be a Disney princess, I’d transform myself into one with whatever was lying around the apartment and let my imagination do the rest. As I grew older, I started seeing the conversation more and more. I met people who felt strongly about the issue and studying Latino culture in college made me rethink my own childhood. One memory sticks out the most. At the time, I didn’t think much of it for whatever reason, but looking back on it now, it makes me sad. He was thankful that I didn’t look like him because I wouldn’t have to experience any of the difficulties he had faced (or continues to face) because of the color of his skin. I look White, and therefore, I can pass as White and have a simpler life because of it. That’s what his meaning boiled down to. That’s what society and media reflect. You’re probably asking yourself what any of this has to do with S​tar Wars?​ It has everything to do with S​tar Wars​ and everything to do with us as diverse people. There’s been a lot of discussion about diversity and representation in S​tar Wars.​ Just recently, the fandom’s attention was on the lack of women characters in merchandise and toys. And several months before that, the community voiced their concerns about the casting choices for the highly anticipated sequel. We all have our opinions and beliefs, but at the very core of the issue, whether you see it or not, is the need for change. Too long have we put down others and excluded them because there was a set standard. Too long have we sat by and let others define the status quo. The reason you see more conversation and more awareness is not because we’re trying to ruffle feathers, it’s because we’ve had enough. There are several things that need to change and from different angles and perspectives. It won’t happen all at once and we’ll come across hurdles that will set us back, but the small steps here and there contribute to the goal of a truly diverse future in media. Identity plays a significant role in writing diversity into a story. I​ identify as a Puerto Rican and American woman and a librarian. My friend identifies as someone of Mexican origin and Canadian and an artist. My cousin identifies as Black Latina and a student. Identities are always changing based on our preferences, beliefs, and experiences in life. T​he main character of Greg Weisman’s R​ain of the Ghosts s​eries is from a fictional place in the Caribbean islands. Rain is described as a girl with copper skin and thick, black hair. And she’s a Spanish speaker. If those books were to become a series of films one day, I would hope that the person cast to play the role of Rain is someone of Caribbean origin who matches her description. There have been recent instances, however, where that’s not the case. Tiger Lily is someone who is and identifies with Native American culture, but Rooney Mara plays the role in the upcoming P​an​ film. Misrepresented and insulting, the role would have been more authentic and accurate had it gone to someone who identifies with Native American culture. The same applies to Maori character, Mazer Rackham, from E​nder’s Game,​ who was played by Ben Kingsley because he could “pass” as Maori. A role­­ one of the few Maori roles in literature and media­­ that should have been played by a Maori actor was assigned to someone who was not Maori. As creators, we have the ability to incorporate diversity into our stories and bring to life characters that are poorly or rarely represented. We also have the ability to take creative liberties. Characters, such as Johnny Storm, Iris West, and Jimmy Olsen, who have been traditionally White are not identified by their Whiteness. You recognize them as White characters because they’re products of their time and that’s how they’ve been visually portrayed, but Johnny Storm’s identity is that of a hothead, Iris West is a reporter, and Jimmy Olsen is a photojournalist. Those are their identities because that’s how they’ve been written. Flipping the switch and making them Black does not take away from who they are as the characters we’ve previously known. Instead, their presence introduces diversity to what would have been a typical White cast. The choice is one that is based on being more inclusive, giving visual representation to those who seek it and introducing another person of color into the workforce of actors. “What about making a diverse character White?” If we can do it one way, then why not the other? I’ve received this question a few times, and it’s a legitimate question. That concept, however, is commonly known as Whitewashing. In the previous paragraph, I explained the importance of introducing diversity in a creative way because of minimal representation in media. Taking a traditionally black character, for example, and making them White erases the diversity factor that was originally there. Some of the opinions I see often range between “the person with the most talent should obviously play the role” and “diversity feels forced.” Well, seeing a White male protagonist and predominant White cast 90 percent of the time feels forced. When casting directors go out of their way to cast someone who’s clearly not Latino in a Latino role, that’s forcing diversity out of the picture and denying many of the capable and talented Latino actors out there an opportunity to play a role that’s meant for them. The problem arises when things aren’t done “fairly,” which, believe it or not, happens quite often. Things aren’t done fairly. Letting things happen “naturally” doesn’t work in our world. We don’t live in a perfect society, where everyone gets a fair chance and people look at things with an open mind. Look at the negative reactions sparked by the C​oca­-Cola Super Bowl advertisement​ from 2014 or when people cried out that 2​013’s Miss America​ didn’t deserve the title because she was Indian American. That’s why, as a unified voice, we point out the wrongs in these issues and we ask that people be more inclusive. Visual representation may not seem crucial to the majority who are continually represented on-screen, but it means something to the remaining population. It meant something to Lupita and her talent landed her a role in the upcoming sequel film. And hopefully, when a young Black girl sees Lupita on the screen come December, she’ll go, “Oh​—I​ could be an actress!” Because that’s what representation does. It plants a seed, it inspires, and it makes things possible. Johnamarie is the owner of TheWookieeGunner.com. She is a content contributor for Making Star Wars,​ S​tar Wars​ Report, and Fangirl Next Door. She is also a co­host on Now, This Is Podcasting! 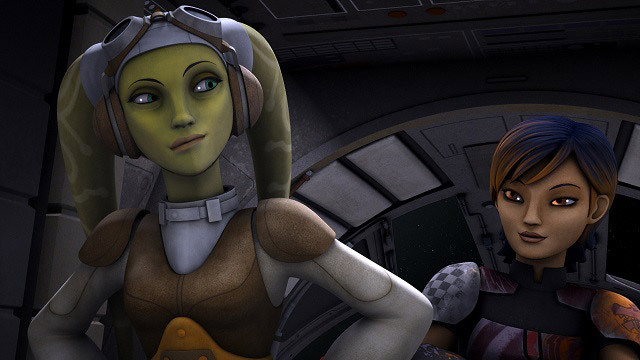 and Rebels Chat. Previous article CWK Co-host Dan Z Has a New Entry Posted on the Official Star Wars Blog! A great commentary. On the whole I agree with you — but I would say that I fall into the category of it not mattering to me (most of the time) what ethnicity one is when portraying a character. I am more interested in how well the actor/actress portrays the character, and how well s/he helps move the story along. However, like I said — it doesn’t matter to me MOST OF THE TIME. There are instances when I find it LUDICROUS when (at least in the scope of cinema) that actors/actresses are cast in roles that CLEARLY call for a specific type or ethnicity. I think of those classic films that cast white actors and actresses in roles that truly should have gone to Native Americans, those of Latino descent, those of Asian background. And I totally agree with you regarding Ben Kingsley being cast in the role in “Ender’s Game”. He’s a wonderful actor, but I cannot imagine for one moment an actor of incredible talent who happens to be Maori couldn’t have been found to fill that role. I know there’s something to be said for “name recognition”. Moviemaking is a business, after all, and studios and producers want to see their films do well at the box office. Oscar-winner Ben Kingsley’s name carries a lot more weight than an unknown Maori actor (at least here in the US), so I can understand some of the decision behind the choices that are made. I DO BELIEVE in diversity, yet I also believe in making sure the best person is hired to get the job done. I know an individual who owns/runs his own company (not film related) who, to be considered for certain jobs, must have a certain contingent of minorities in his workforce. The jobs his crews do require a great amount of skill, training and experience, and there aren’t a great many minorities in his geographical area who fit that bill. At least to give all the like companies an equal shot at such jobs. The question is: Does one hire just anyone to fit that “criteria”, and jeopardize safety or let some jobs go until more of the minority workforce is adequately trained? I lean toward the latter … yet there are those companies that opt for the former. Yikes! 🙁 Inroads are being made. It takes patience. I’ve always had a strong tie to the potpourri of heritages from which I hail: Slovak and “Hillbilly” being the most prominent. I’m also Hungarian, Spanish (with a conquistador in my bloodline), French, English, and Native American Cherokee. My mom always called her style of cooking “Slobilly,” because it incorporated both aspects of hers and my dad’s major backgrounds! I always thought that was cool – that although the two of them came together, there was still room to celebrate their individual upbringings. That being said, I never felt as though I were any different from my Irish, Polish, American Indian, Italian or German friends (I grew up in a suburb of Cleveland – lots of diversity). Is that because we were all “White?” …WERE we all “White?”… I just think it was because we were all friends, without a “color filter” at all. Maybe it was just me that was “blind” to it. It just didn’t matter to me. I always thought it was awesome that my best friend had red hair and was covered with freckles, while at the same time being envious of the girl down the street with thick, curly hair and the insane ability to get a better tan than me! I suppose that laid the groundwork for where I stand on the whole diversity issue. I’ve never really understood why people have to make such a big deal about it, but I also get why they do. Most of it is about personal experience and upbringing. I can’t empathize with discrimination, other than the fact that I’m a woman, which can be both a blessing and a curse in any given situation! However, I DO know what it’s like to be the victim of severe bullying, and not understanding what made me such a target for that type of abuse. I know it’s not discrimination per se, but I can imagine that the emotional, mental and physical effects are somewhat paralleled. Sorry to get off on that personal tangent!! As far as diversity in media, I agree with Melinda: it honestly doesn’t matter to me who plays the role if they’re the ones who deserved it. I do agree that Hollywood probably does sacrifice “diversity” for “name” if there’s more of a profit margin to be made. As far as Whitewashing a role, I do think just the opposite is also true in some cases: look at the character of Nick Fury. In the comics, he was a “White guy”. Obviously, not the case with the new generation of Marvel, as Samuel L. Jackson has taken up the role. Why was that change made? Falcon and Col. James Rhodes, on the other hand, have always been Black men, at least from my understanding. Aquaman – have you seen the new Aquaman? Jason Momoa? He’s of Hawaiian descent on his dad’s side. Dark skin, black hair. Aquaman was ALWAYS a pale White guy with blonde locks. Why did Hollywood decide to go all Dark Knight with the new image?? Hercules. Disney’s animated version features a White-ish guy with reddish-blonde hair. Hurcules was a Greek dude. Hollywood has most recently cast both Dwayne Johnson (Samoan and Black Nova Scotian), and Kellan Lutz (German, as well as smaller amounts of English, Swedish, and Dutch). I enjoyed both versions of this movie, and I didn’t really care who played Hercules. It was an artistic interpretation of the story from two points of view. Yoda was blue before he was green. Early sketches of him proves this. Why the change? Is Green somehow “better” than Blue? Why? Does it matter? Yoda is Yoda. He could be purple and still be Yoda. The most recent debate about color has been “The Dress.” I saw gold and white. What did you see? Supposedly, the real dress for sale was actually black and blue. I would have been upset if I had ordered the dress, expecting white and gold, but getting black and blue! I didn’t get what I paid for! Other people might say, “well, it’s a pretty dress, so I guess it doesn’t really matter what color it is.” Who has the “right” opinion? The debate over color, diversity and ethnicity in media will always rage, as long as there is color, diversity and ethnicity. I could keep going on this matter, but I think I’ve exhausted my brain for now, and most likely yours as well!